We have just received a couple of Garth Brooks Signature Takamine electro-acoustic guitars. The GB7C Garth Brooks signature model was designed as a collaboration between Takamine R&D and country legend Garth Brooks. This model matches a solid cedar top, finished in a silky smooth natural satin finish, to a solid rosewood back and features a unique soundhole that mirrors the shape of the guitar. Sonically, the guitar performs well in soft fingerstyle passages and aggressive strumming. The mahogany neck is joined to the body with a traditional, ultra strong dovetail joint. Includes Takamine’s Palathetic™ pickup, known in the industry as one of the most accurate and natural sounding acoustic/electric pickups. The CT4B preamp has long been the popular choice among Takamine pro artists, providing warm natural acoustic tone at high sound pressure levels. Click here for more information. As guitarist and founding member of the Black Crowes, Rich Robinson has earned nearly as solid a reputation for his love of fine guitars as he has for his juicy, swaggering riffs. The new Rich Robinson ES-335 nails exactly what Rich loves in a vintage early ’60s ES-335: killer authentic faded-Cherry looks, creamy yet clear PAF tones, and the added versatility of a genuine Bigsby™ vibrato with traditional “Custom Made” plate to cover the stopbar stud holes. This “small block” incarnation of the fabled ES-335 is dear to the hearts of many great players, and you’ll find its full mojo embodied in the Rich Robinson ES-335. Built to the original ES-335 semi-hollow design with a body made from maple laminates and a solid center block to cut feedback and enhance sustain, this is one of the most adaptable electrics on the planet, excelling at anything from jazz, to pop, to country, to flat-out Black Crowes-certified rock’n’roll. Rich’s preferred neck profile makes it superbly comfortable to play, and there’s a little extra real estate at the 1.711”-wide nut to give you plenty of room to roam. Load in a BurstBucker 1 at the neck and a slightly hotter BurstBucker 2 at the bridge, dress it all in a luscious aged-Cherry finish given Gibson’s exclusive VOS process, with gently aged and period-correct nickel hardware, and pack it in a brown hardshell case with plush charcoal lining and Certificate of Authenticity, this is a classic ES-335 you’ll want to get your hands on right away. for enquires please email us at info@waltonsmusic.ie or drop into the shops to talk with one of our specialists. Roland is pleased to announce the Blues Cube Artist and Blues Cube Stage, two new 1×12 combo amplifiers with genuine tube tone and feel. Featuring Roland’s unique Tube Logic design, the Blues Cube amps deliver the rich sound and musical touch response of finely tuned vintage tube combos, along with convenient modern features and reduced weight for easy portability. The Blues Cube series offers serious guitarists a highly evolved sound experience with the very latest advancements in Roland guitar innovation. Road-tested and fine-tuned with feedback from top players, these gig-ready combos deliver the sweet, magical tone and satisfying feel that makes a great guitar amp a highly expressive musical instrument. Going far beyond modeling, Roland’s Tube Logic approach starts by carefully reproducing the inner workings of the revered tweed-era tube amp in every way, including preamp and output tube distortion characteristics, power supply compression, and much more. Great feel, distortion control with touch and volume, warmth, elasticity, sparkle, power supply “sag,” and more—everything that players love about a dialed-in vintage tube amp is present in abundance with the Blues Cube. The Blues Cube Artist features 80 watts of power, while the Blues Cube Stage is equipped with 60 watts. Designed for performing pro guitarists, both amps have open-back cabinets built from poplar plywood, which provides an acoustically vibrant tone for enhanced presence on stage. Each amp is outfitted with a custom 12-inch speaker that’s been specially designed for maximum tonal response with Tube Logic. 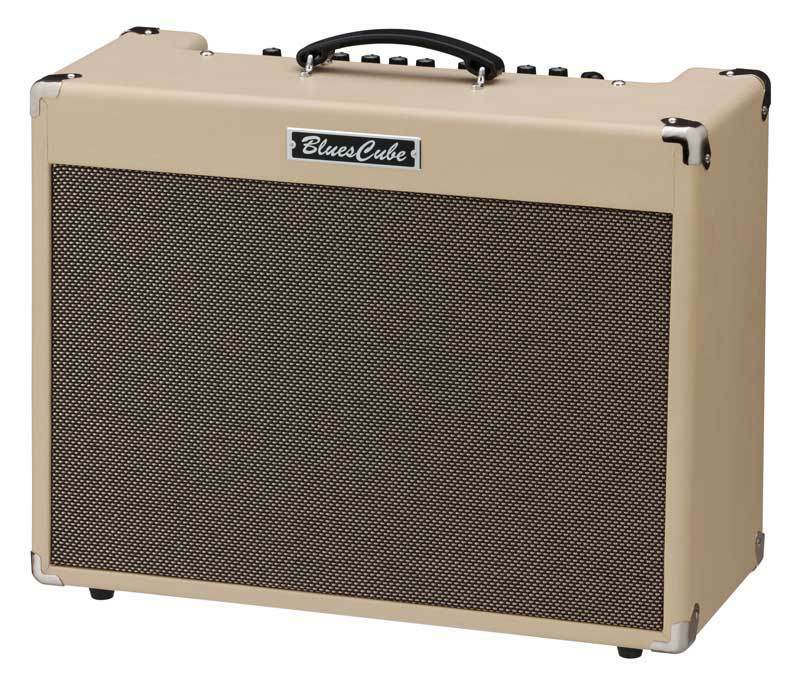 Both Blues Cube models offer two independent channels—one voiced for cleaner tones, and the other for crunch. Each channel has its own Boost and Tone switches to shape the character, and the Crunch channel has a variable gain control for setting subtle distortion and response in combination with the volume knobs. 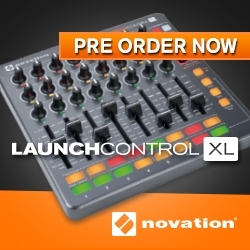 A unique Dual Tone mode lets players blend both channels together for expanded tonal possibilities. With Tube Logic, the Blues Cube accurately reproduces the complex output tube distortion characteristics of a tube amp when the volume is turned up. The Blues Cube’s variable Power Control provides settings of 0.5 W, 15 W, 45 W, and Max, allowing users to enjoy this musical, cranked-up tone while matching the volume to any situation, from recording to rehearsals to nightclub gigs. Both amps are equipped with a high-quality reverb effect. The Blues Cube Artist also includes a tremolo effect, as well as an effects loop for patching in an external device. Footswitch jacks are provided for remote control of channel selection and other functions while performing. The Blues Cube Artist and Blues Cube Stage also feature USB connectivity, making it simple for players to capture tones directly into their favorite computer recording applications. Please enquire at info@waltonsmusic.ie or call into the shops to talk with one of our specialists. Singapore, —July 17th ,2014— CME Pte. Ltd has released this important breaking news in the music industry. 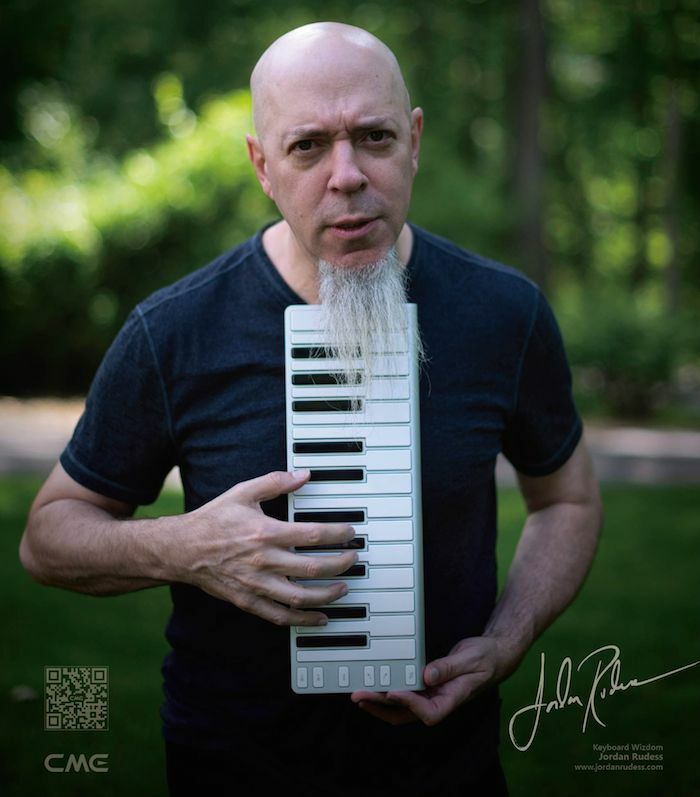 We are honored and excited to announce that Jordan Rudess—well known keyboardist of the band Dream Theater—will be an official endorser of CME musical instruments and has accepted the position of Chief Musical Officer. CME launched the truly mobile midi keyboard—Xkey back in September 2013. The chic and ultra slim design, velocity sensitivity, Polyphonic Aftertouch, smart buttons and customized Xkey Plus app etc. features have won a lot of musicians’ hearts and received a lot of praise. Musicians such as Jordan Rudess, Thomas Dolby, Geoff Downes, Empire of the Sun, Lady Antebellum, Bobby G. Summers, have all proudly added XKey to their musical worlds! The success of the CME Xkey captured Jordan Rudess’ attention when he first tried the instrument. After years of communication between Jordan Rudess & the CME team, Jordan has become well aware of CME’s ability for innovation and their creative ideas for new products. CME welcomes Jordan, not only as a product endorser but also as CMO, a role that will allow him to be involved in new product planning and development. 2014 will be a very important and bright year for CME. The collaboration of CME and Jordan Rudess will be something to keep your eyes on. We invite you to come along on CME’s next great adventure! BOSS is pleased to announce the Waza Craft series, a new line of special edition compact pedals that offers players the ultimate BOSS tone experience. The debut of the Waza Craft series includes the SD-1W Super Overdrive, BD-2W Blues Driver, and DM-2W Delay. All three pedals provide the classic sound signatures of the past and present BOSS pedals they’re based on, plus switchable modes for customized tones sought after by discerning guitarists. For more information, contact us at info@waltonsmusic.ie or call into the shops to speak with one of our specialists. 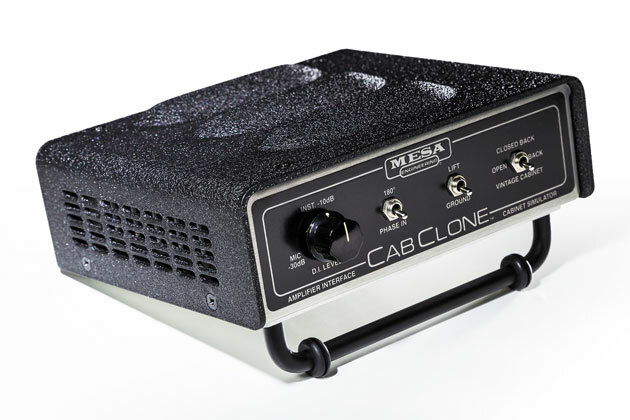 Mesa/Boogie is excited to announce the addition of the new CabClone Cabinet Simulator DI and Compensated Headphone Driver, expanding its line of award-winning guitar amplification products hand-built in the company’s Petaluma California shop. Aimed at taking guitar cabinet simulator performance to a higher level, Mesa’s team set out to address the needs of the professional studio, home, and gigging guitarist or serious “silent” guitar practitioner. When given all options, a large percentage of guitarists still prefer the natural sound from their amplifier of choice and a mic’d speaker cabinet. Many would benefit if provided a way to capture true amplified guitar sound without the need for a mic or a cabinet, and often the resulting volume in noise restricted environments. The CabClone has been developed to meet this objective with pro studio grade sound quality and realistic feel, offering some unique features in this category and price range. Usable with or without a speaker, as a combined power load soak (On-Board Load defeated when speaker connected to thru jack), the CabClone captures the signal from the amp’s speaker output and simulates the sound of a mic’d cabinet without damaging the amplifier. This Internal Load feature is essential but lacking in many other products in the category and price range. For the recording or home artist with limited space, restrictive volume considerations, or simply those who want to experiment with speaker cabinet options, the CabClone offers three popular cabinet style and tone options including open back, closed back and vintage 4×12. 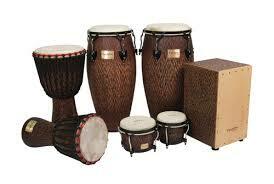 For enquiries, email us at info@waltonsmusic.ie or call into the shops to talk to one of our specialists.